The most popular provider when it comes to making games for online casino is Netentertainment. Few British players haven't heard about this game provider before. Some of the most popular slots from Netentertainment are Starburst, Gonzo's Quest and Twin Spin but the good part is that Netent is releasing one new slot every month. 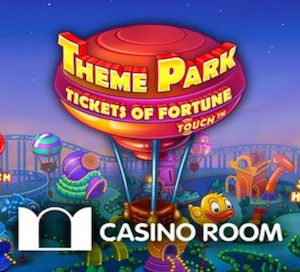 This month's release is called Theme Park: Tickets of Fortune and the game was actually released earlier this week and now you have the chance to play Theme Park at most uk casinos. But of course it's always best to play for free and today we have an offer to tell you about where exactly this is possible! The online casino that is now offering players to gamble free on Theme Park: Tickets of Fortune is CasinoRoom. At this uk casino you can now play on the new slot with up to 200 free spins. There are actually two offers valid at CasinoRoom right now. The first offer is only valid for new members and if you've never played at CasinoRoom before you can claim all 200 free spins on Theme Park. To get all these free rounds you just have to sign up at CasinoRoom which you of course do without any cost what so ever. When this is done you should make a first deposit to CasinoRoom of £10 or more and enter the promo code TOF200. This will entitle you 200 free spins that will be available for you in Theme Park right away. You can use this special welcome offer until June 26. If you prefer the standard offer at CasinoRoom instead that is also okay during this limited campaign period. If you are one of those who already have an account at CasinoRoom you will not go empty-handed. You can get no less than 100 free spins on Theme Park: Tickets of Fortune right now. 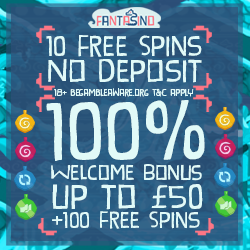 All you have to do to get this amazing amount of free rounds is to login to the casino and make a deposit of £10 or more. When you do this you should enter the promo code TOF100. This code and your deposit will entitle you 100 spins that you can play with immediately on the latest online slot from Netentertainment. Just remember that the spins that you're getting are connected to wagering requirements of 45 and you need to wager your winnings within 10 days to be able to turn your bonus money into real cash and make a withdrawal.